It Ain’t Me Babe is the first book in the Hades Hangman series and I haven’t read much of Tillie Cole, but what I have read I have really enjoyed. 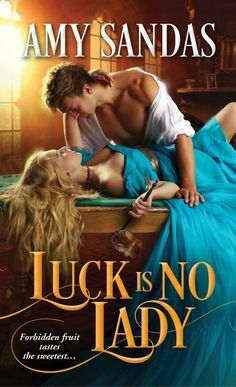 But she does write more darker, edgier reads, so fair warning, this book isn’t for you if you prefer lighthearted romances, its packed with some serious issues and I am thrilled that this author addressed these issues. Because I don’t think I have ever seen an author address “religious cults” before so I am really glad that Tillie Cole touched on this topic. Our story begins with Styx and Mae who meet when Mae is 8 years old and Styx is 11. Styx is out working with his father and while in the forest, when he stumbles across a fenceline and see a girl who is crying and afraid. He is compelled by her beautiful “wolf” eyes and even though he can’t talk, he manages to speak to Mae just to know her true name. Now Styx and Mae are grown and their lives are very different from each other. Styx has taken over as the President of the Hades Hangmen MC and his lack of speaking hasn’t prevented him from being a good leader to the men he calls brothers. Mae, however, has lived a life of fear, pain and humiliation most of her life. She grew up in a religious cult, and the men of the cult have raped her since she was eight years old. But when she finds her sister dying from wounds inflicted on it, she knows that everything she has been taught has been wrong. She manages to barely escape with a severe leg wound and finds herself being found by Styx and brought into their clubhouse to help her recover. But when Styx realizes that Mae is the girl that he saw all those years ago, he can’t let her go….and desires to protect her. In “It Ain’t Me, Babe” is a dark and compelling romance that only Tillie Cole delivers and boy I had such a thrilling time reading this book. Now this book has some dark background elements, especially in the religious cult theme here. Now it also involves a MC, which offers its own dark like elements but in this book we see such a beautiful love story unravel. We see the horrible abuse that Mae has suffered and how she had to leave her sisters behind and how she awakens with her freedom and how she learns so much about herself and really grows into a strong and capable woman. I love how devoted Styx and Mae are to each other, of course, their relationship does have some bumps across the road but I love seeing them overcome those struggles and claim the love they have for each other and what they are willing to do for it. Overall I found It Aint Me Babe to be a vibrant and edgy romance that delivers in every ways!!! A STUNNING TALE!